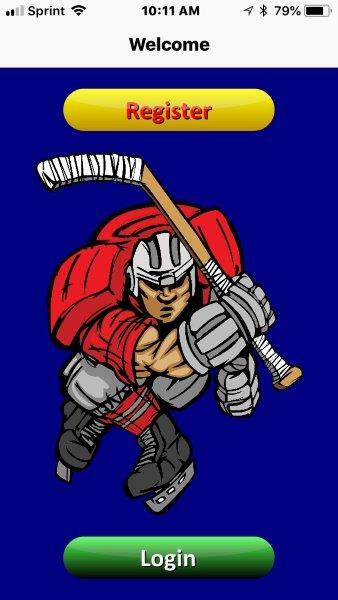 Players download your app and register. On the Rink version, they have immediate access to the Skate List. On the Private Skate version, they must be approved first. 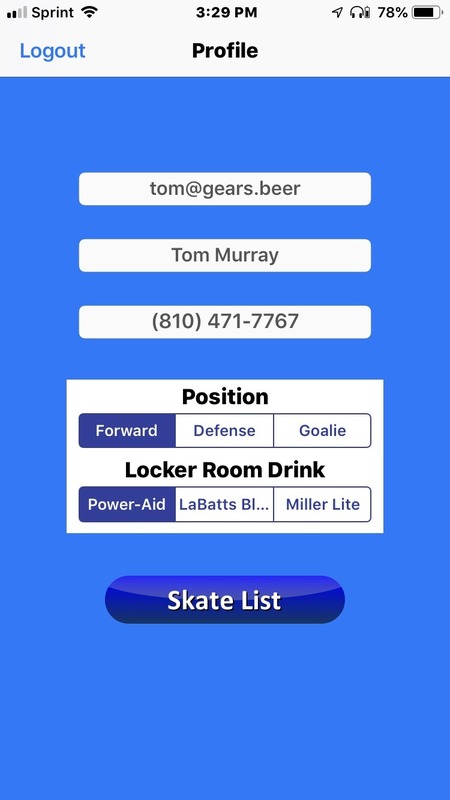 The private skate profile includes a drink preference. We simplified it to Beer, Light and Sports in the Private version. On the Rink version we have seven skill levels to select from. They pop up detailed descriptions. Players like to see who else is skating. The “i” button opens a list of those booked. 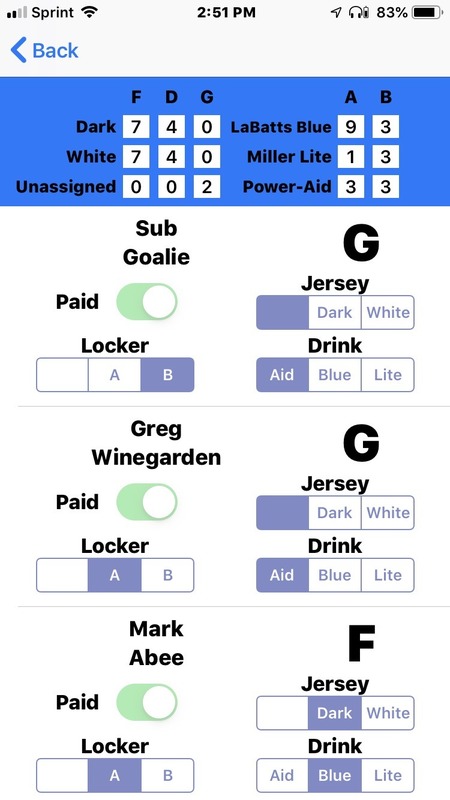 Admins can mark them paid and assign locker rooms. Both Admins and Coaches can assign jerseys on this page. The tallies show up on top. During registration, your players agree to your skate rules and terms of service. The Private Skate version is a little different from the Rink version. 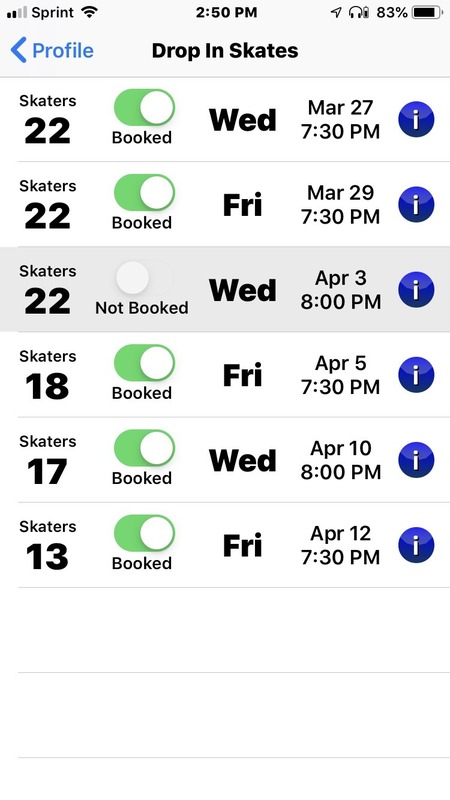 The number of players in an event, drinks and number of skates you can book all differ. Look over the features of the app that best fits your needs.